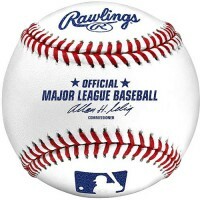 Major league baseball, “America's national pastime”, is the oldest professional sport to be organized in the U.S. with roots dating back to 1870's. Starting at the beginning of the 1880's, the final series to determine the champion between the National and American league has been called the “World Series” (originally “Worlds Championship Series”).Only the division winners would move on to the playoffs. This left an odd number of teams competing in the postseason so Major League Baseball decided on the addition of wild card teams. The best second place team with the best record in each league would advance to the next round. The winners of the division series went on to play in the LCS (League Championship Series), and the two winners would face each other in the World Series. In 2012, yet another change occurred in the postseason format of the MLB. A new wild card team was added making it necessary to play a wild card playoff elimination game between the two teams with the best record that were not among division winners. As for the 2014 season with under a month of baseball left to play, teams are fighting hard to earn a spot in the postseason. Each team plays 162 games and over 500 hours of baseball each year, yet the only games that matter in the heart of the players are the playoff games. They practice all their lives just to play in the playoffs and get a chance at completing their one goal – winning the World series. The competition is so rigid that no team has yet secured a spot. The American League is currently hosting sell-out crowds night after night. Teams like Baltimore, Kansas City, LA Angels, Oakland A’s, Detroit Tigers, Seattle Mariners and New York Yankees are all in a battle where each team must play error free throughout the remainder of the season. If you are a fan of intensity, excitement, hard work, and passion, prepare to be amazed because the postseason is about to start and 2014 will be one to remember.